1 dress : cotton ; 18.75 x 21 in., right tie 24.75 in., left tie 23.5 in. 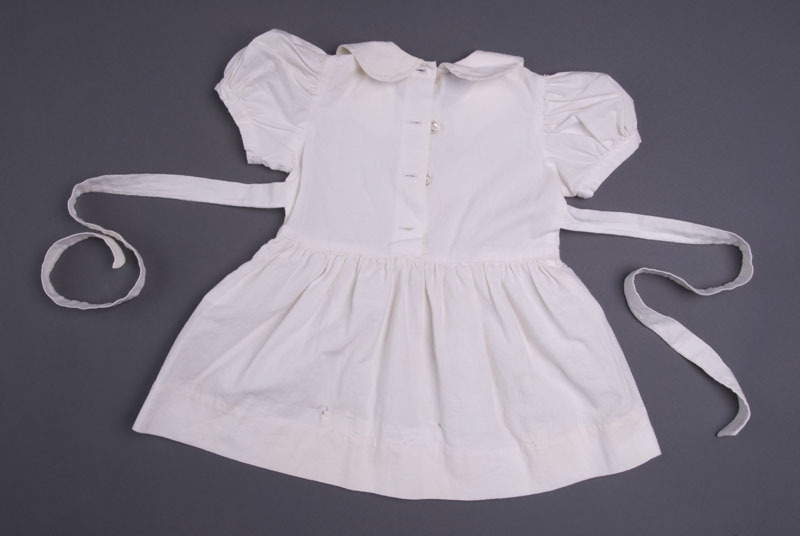 Little girl's dress made from bleached rice bags with rounded collar, puffed sleeves and four buttons at back. Two long ties of different lengths are attached at side of waist to be tied in back. 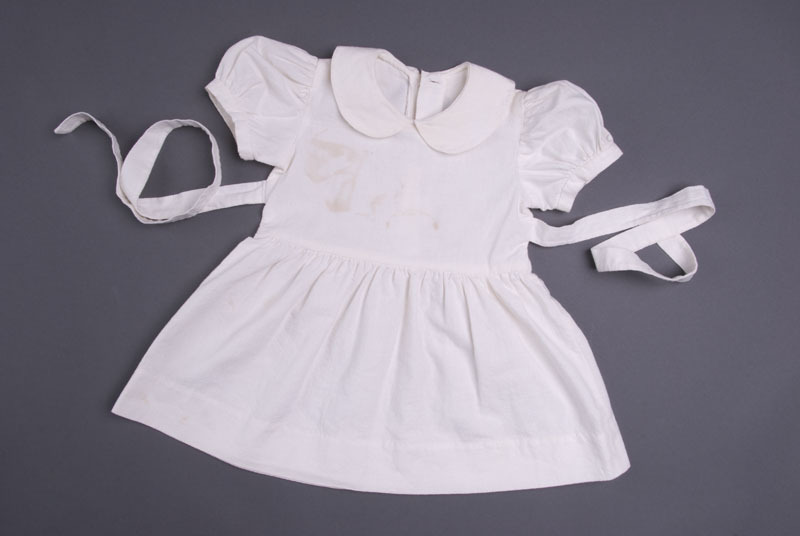 Reproduction of rice bag dress similar to one sewn for Tazawa children for father's funeral.